Ever since its founding in 1946, the Texas Veterans Land Board has been providing the strongest veterans benefits package in the nation. We provide our veterans with access to land, home and home improvement loans that allow them to own their very own piece of Texas. We also offer State Veterans Cemeteries to honor those who have served, as well as State Veterans Homes that provide care to and dignity for veterans, their spouses and Gold Star parents. 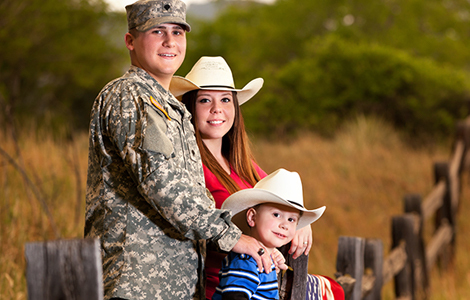 Texas provides the strongest veterans benefits package in the nation. Find out more about the Veterans Land Board and our many veterans’ benefits at texasveterans.com.